I get asked a lot about the best way to get involved with Japanese startups, how to connect with other founders in Japan, and for advice on how to start a startup in Japan. I enjoy answering questions and talking about startups, but I am a fundamentally lazy person, so I put this together to save some time and hopefully provide some value. This is by no means comprehensive. In fact, we are barely scratching there surface, and with the startup scene expanding so quickly, it’s sometimes hard to keep track of all the new groups that are popping up, but the following resources will plug you directly into the heart of the Japan startup scene and help you connect with Japanese startups even if you don’t speak much (or any) Japanese. This is a very personal list. These are events I attend, the services I use, the websites I read, and people I trust. There are dozens of startup events in Tokyo, but this is the best place to start networking with Japanese and foreign startup founders. HackerNews is held monthly, and there is usually a good mix of Japanese and foreigners, and programmers and business types. If I’m in town, I usually show up. A weekend-long startup simulator, and a great first step if you have never run a startup and want to understand how to create a good business plan and also gain some insight into the stressful team dynamics involved in starting a company. Startup Weekend is non-profit, run by volunteers, and laughably inexpensive for the experience you get. I volunteer as a coach or a judge occasionally. They run a lot of events and the quality varies considerably, but the “International” events are done in English and tend to be quite good. Dev Japan is one of the best, lowest-stress ways to connect with other developers in Tokyo. Dev Japan runs in English, and while their meetups do have some short presentations, for the most part they are just a group of designers and developers who get together on the weekend to hang out and work on their own projects. FinTech Association meetups have a good mix of finTech startup founders and representatives from larger, more traditional financial companies. You won’t have any trouble figuring out who is who. The site is in Japanese as are most of the members, but they are quite welcoming to foreign finTech entrepreneurs. BiJ is technically not a startup organization. It’s more of a casual gathering of Tokyo’s foreign business community, but plenty of people from the startup world attend as well. Everything is in English, so it’s a great place to meet people when you are new in Japan. TTS a very welcoming group of (mostly) foreign startup founders and aspiring founders. They have a high percentage of developers and designers and people who actually build things. These meetups usually involve one or two early-stage startups pitching to the group, a bit of Q&A, and lots of conversation. If your skills learn more towards marketing, Tokyo Digital Marketers is the biggest bilingual meetup of its kind in Tokyo and the memership seems to tilt heavily towards startups. Run by Paul McMahon, a foreign entrepreneur in Tokyo. This is a great way to discover bilingual startup events in Japan. I monitor this site closely. One of the oldest and largest events of its kind. Thousands of attendees, hundreds of startups, multiple tracks, and dozens of speeches and panel discussions. Everything is simultaneously interpreted into Japanese/English. It’s usually held in September and you really need to go it you are in town then. Slush is every bit as good as Tech In Asia, but completely different. TiA can feel a bit like an academic conference, and Slush can feel a bit like a rock concert. Everything is in English, it’s a lot of fun, and you shouldn’t miss it if you are in town. Slush is usually held in March. Innovation Leaders Summit focuses on connecting startups to Japanese enterprises. There are presentations and discussions, but the focus of the event is startup-enterprise collaboration and networking. ILS is conducted in Japanese and without interpretation, but it is very welcoming to foreignen startups who can pitch in Japanese. TechCrunch Tokyo is not nearly as large or as over-the-top as the Disrupt events in San Francisco and New York, but it’s big. While the other large events are very international, TechCrunch Tokyo focuses squarely on Japanese startups and those who love them. The pitches and presentations are all in Japanese, but this is a great deep dive into the Japanese startups. TechCrunch Tokyo is usually held in November. Wantedly has an English interface, but most of the content is still in Japanese. If you speak Japanese this is the place to find out which Japanese startups are hiring and to arrange to visit their offices. Wantedly is a hotbed for startups looking for employees and for aspiring founders looking for each other. An English-language jobs board catering exclusively to the Japanese startup community. 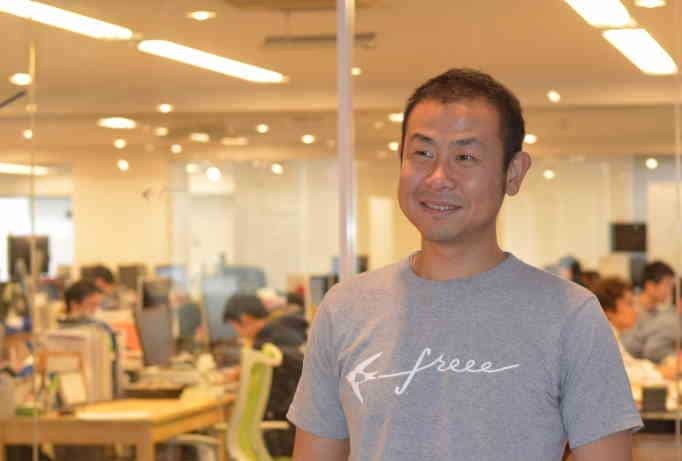 They are relatively new, but they are serious about serving Japan’s startup community. No English teaching or modeling jobs to be found here. One of Japan’s first and best job sites for people looking for work in Japan. Jobs In Japan is not particularly start-up focused but lists a huge variety of open positions available to those without strong Japanese-language skills. A number of small, independent, worthwhile, job boards are maintained by some of the leaders of the engineering community here. It’s a great place to look for English-friendly development roles at Japanese startups. I know there are more famous sites that cover Japanese startups. There are certainly better funded and more prolific sites, but these are the two sites I read every day. They have people on the ground. They are smart, well connected and seem to be working together a lot these days. 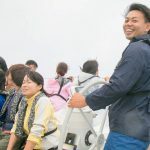 Long-time friend and Tokyo entrepreneur Terrie Lloyd has been publishing this weekly newsletter for more than a decade. 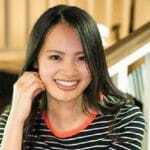 It’s not exclusively focused on startups, but Terrie has a depth of experience and a hands-on perspective on the state of business in Japan that is rare to find in any language. It’s worth signing up. This great resource is maintained by a group of Japanese founders who are now in San Francisco working on various new ventures. Great information on Japanese investors, tech conferences, co-working space, etc. The guys behind this are friends of mine. They are smart, well-connected, and they genuinely want to help startups. If you are a startup founder interested in Japan, you need to take a look. We Americans have been conditioned to disparage just about anything developed by the government. JETRO, however, has put together an amazingly useful site. This is probably your best source of information about the laws and practices surrounding starting and running a company in Japan. Thanks for putting up the write up. Its really useful info. Thank you. I’m glad it’s useful. Very useful! Thank you so much!! Thanks for coming by. I’m glad you found it useful. Hi Tim – Excellent resources. It would be good to know, which out of the above is most active? Startup Weekend is being prominent on the global arena and I believe they’re quite involved with the Startup community in Japan as well. Startup Weekend is very active here. It’s hard to even keep track of all their events. I’ll taker a look at the sites you mentioned. There are a lot of travel startups in Japan. It’s a very competitive space here. Thanks for these information. These are very useful. I want to know about start-ups related to Artificial Intelligence, Robotics, Block Chain. If you have any information then please pass it on to me. Thanks for listening. Stay tuned. We’ll be covering startups in two those areas in the next few months. Yeah…thanks. But I am in some need right now. If you can help somehow then it will be wonderful. I am interested to connect with Japanese start up cos mainly in engineering sector to help them market their product in indian market. Thanks for listening. The beltway to do that is show up in person to one of the events listed on this page. Hacker News would be a good place to start. Hello, Tim. Thank you so much for the useful information. I am wondering, though. Are there any companies related to the sciences (such as biology, biotech, etc.)? My background is bioscience and I have no experience whatsoever in other professional fields. I have been searching for such startup companies in Japan, but it seems hopeless so far. Thanks for listening. Sadly there are not many life-science startups in Japan. A lot of it has to do with the lack of long-term perspective amongJapanese VCs. If you have not heard it you, give a listen to the Molcure episode. They talk about how the lack of interest in traditional bio-tech investment made them change their strategy to one focusing on services to pharma companies. Hi Tim and thanks for putting together the site. Clearly a labor of love and much appreciated. Looking forward to digging through the past episodes ! Delighted to do it. It amazing hime much great stuff is going on in Japan right now. Hi Tim, great curated list. Thanks for including the Tokyo Digital Marketers as a Meetup. I’m glad you found value in it, and I’m looking forward to the next event.